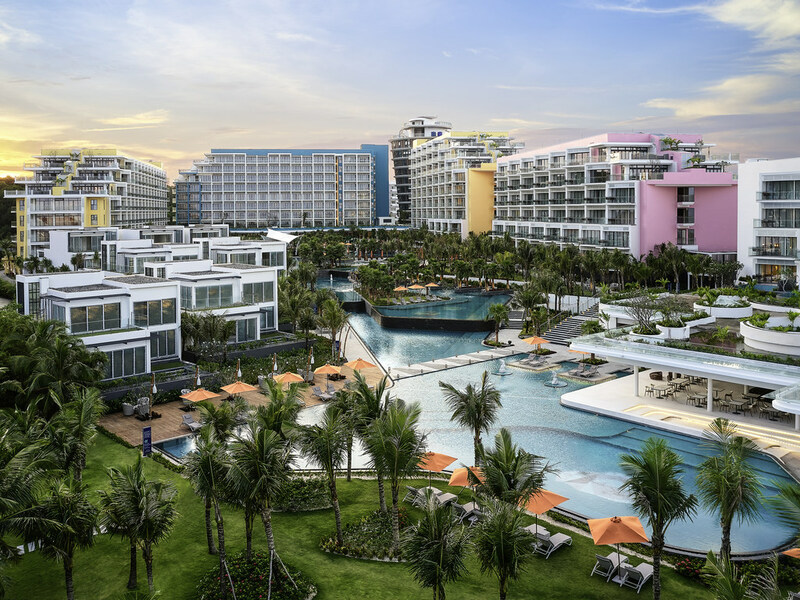 Premier Residences Phu Quoc Emerald Bay resort is the latest cosmopolitan addition to the unexplored southern Phu Quoc island. Featuring 745 opulent rooms and suites with expansive views over the emerald blue sea, this residential resort brings a more stylish option to families and adventurous travellers. Embrace relaxation by the expansive pools or indulge yourself in our multiple restaurants and bar together with various recreation activities within the resort. Opening daily from 6:00 to 22:30, our all-day-dining Mercato restaurant serves buffet and à la carte options, which mostly feature Vietnamese cuisine. The restaurant serves different types of fish and seafood. Guest can select the cooking style, sauces and sides. Open daily from 10:00 to 19:00, our Pool Bar offers a range of snacks and drinks from our Pool & Beach Menu, with special beer promotions everyday. A stylist space with sleek decor and wooden furniture, opening from 6:00 to 19:00 daily and offering a selection of tea, coffee & juices. Grab-and-go snacks and afternoon tea is available to delight guests. - Coming soon in 2019 - Enjoy 360 degree sea views at the Rooftop Bar, situated on top of the 57-metre Drum Tower. The menu features Western inspired tapas, skewers and finger foods.